We created a gatefold with a real clasp, which opens up to a gorgeous Mykonos landscape. A pocket on the back held their reply postcard and events card, and all came in an envelope with a Greek key patterned liner. Silk stationery boxes are our most popular personal stationery sets! The petite boxes come with 35 letterpress cards and envelopes, and the grand boxes come with 100 letterpress cards and envelopes (plus, you can mix and match the designs!). When you order by April 29, you'l receive free flat return address printing on your envelopes. Amanda Jane Jones' designs are among our favorites by Bella Figura - and If you place your order with us using one of her designs by April 29, you'll save 10% on your entire order! Whether you’re ordering save the dates, wedding invitations, birth announcements, party invitations, or personal stationery, this offer applies to it all! Plus, you can save an extra 10% when you order 6 printed pieces or more. As with all of of our designs, everything is customizable - colors, fonts, motifs, layout, edge painting, pocketfolds, envelope liners, and more! 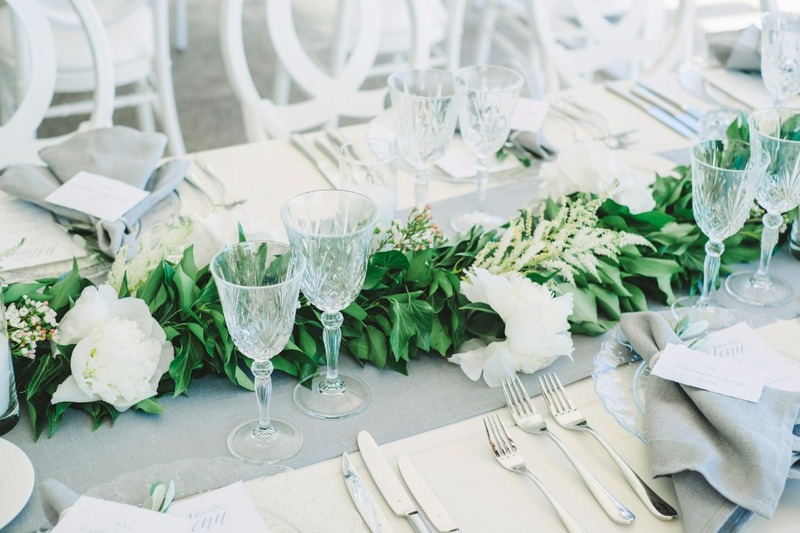 We'd love the opportunity to sit down with you and help you decide what design and customizations are best for you and your event. We invite you to schedule an appointment with us at our Boca Raton studio by clicking here - or fill out our personal shopper survey and we'll email you some designs we think you'll like. 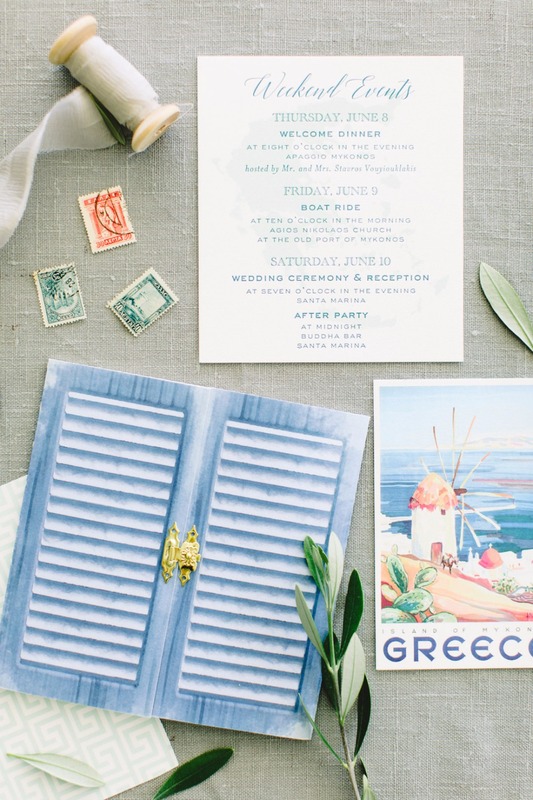 We can't get over these letterpress and foil-stamped invitations for Jennifer and Alex's wedding at the Flagler Museum in Palm Beach, Florida. 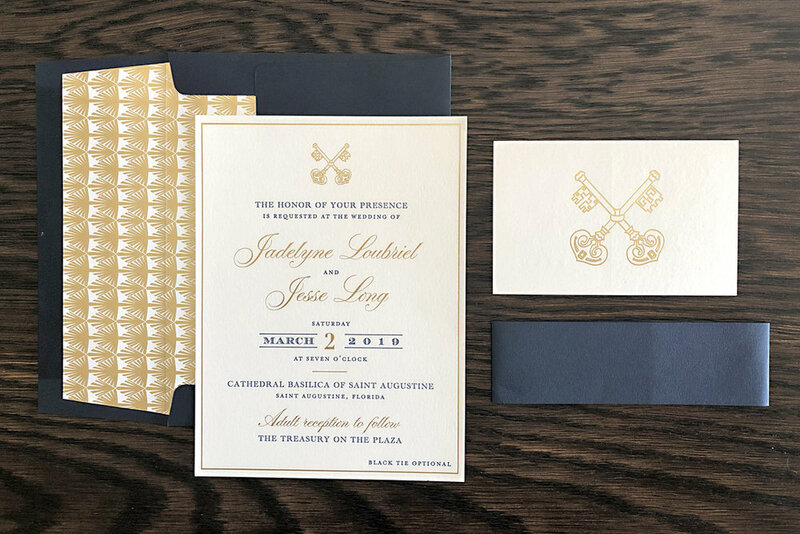 The traditional text layout was paired with an ornate floral pattern, printed in a champagne gold foil and carried throughout the set in the envelope liner, pocketfold, and reply card. Pocketfolds are a great place to add the couple's names, monogram, and/or event date to truly make it unique! 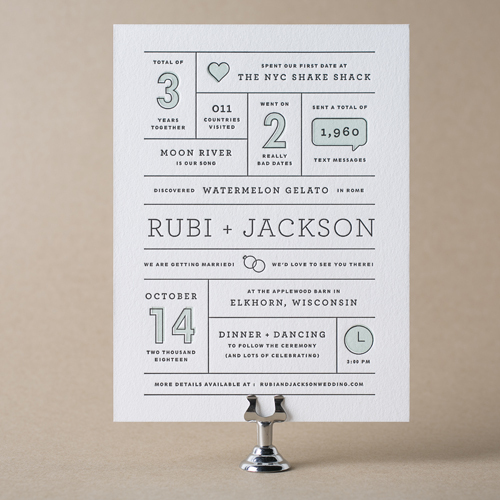 Kristen and Conrad’s beautiful letterpress invitations were the perfect introduction to their black tie wedding. We can’t decide which we like more - the hand calligraphy accents or the black and white striped envelope liner! 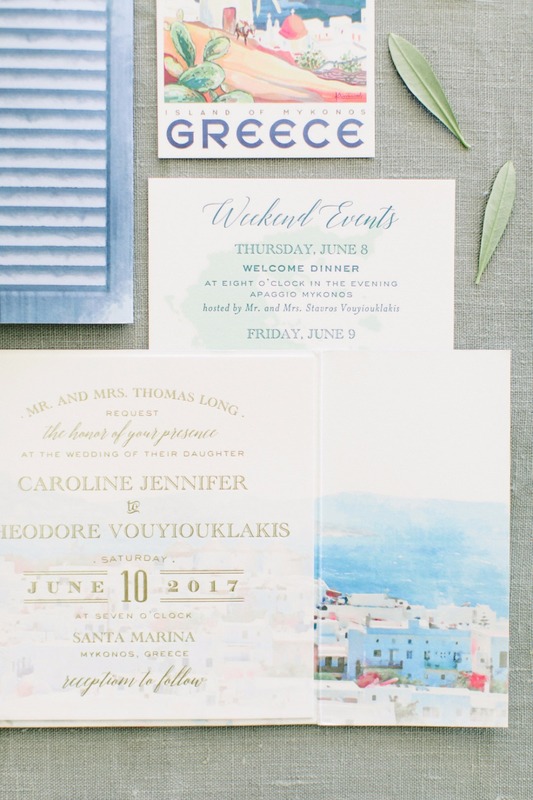 Not only does Page Stationery offer beautiful letterpress and foil stamping, but they are our go-to for all flat printed invitation sets, too. And if you place your order with us using one of their designs by March 31st, you'll save 10% on your entire order! 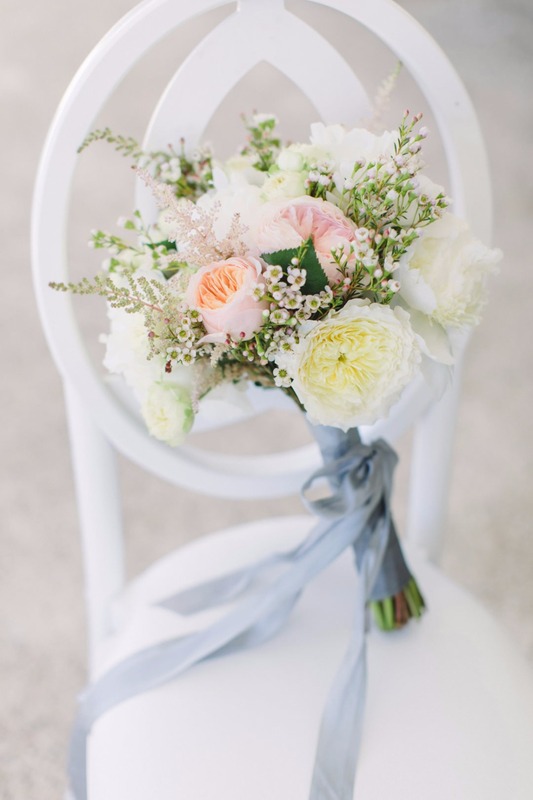 Make an appointment with us to view their designs! Offer is valid for new wedding invitation orders only. Minimum order quantity 100. We created these gorgeous custom pocketfold invitations with navy letterpress and bright gold foil for Juliet and Andrew's wedding at the PGA National Resort & Spa in Palm Beach Gardens. 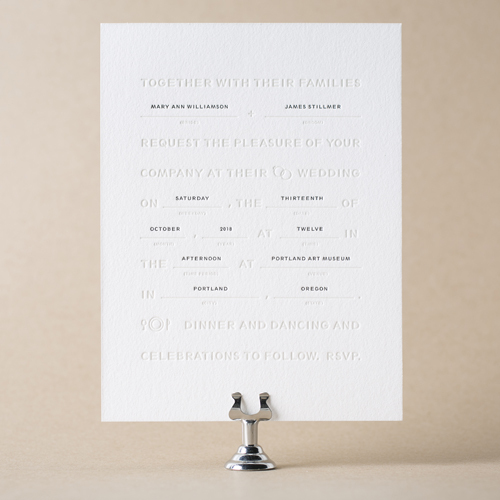 We’ve noticed a lot more clients choosing letterpress reply postcards over the traditional reply card + envelope for their wedding invitations, and we’re all for this trend!